CAREERS are flourishing in Copeland as a council worker scores 97 per cent in prestigious qualification. 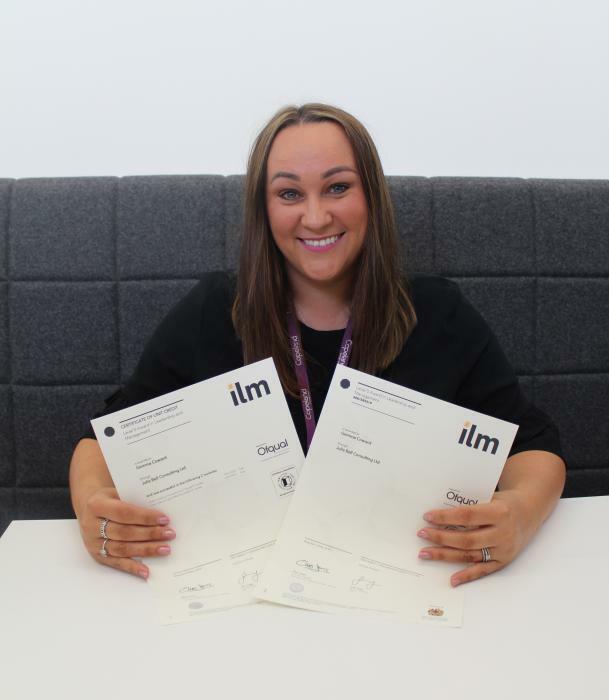 Gemma Coward, Senior Housing Options Advisor at Copeland Borough Council, completed a Level 5 Leadership and Management course - scoring 97 per cent. Mrs Coward joined the council 16 years ago, aged 17, as an apprentice admin assistant and has amassed a wealth of experience in different departments across the council in housing, customer services, council tax and environmental health. Mrs Coward was promoted to Senior Housing Options Advisor in September 2017, and now supervises a team of five staff. Ms Coward said: “I love coming to work. I’m extremely passionate about what I do and helping people. “I work with a fantastic team and even though we are only small we have a massive responsibility as the work we do has a big impact in our local communities. “We support some of our most vulnerable residents, often in a time of need, and the role is hugely rewarding. Every day is different, and I love my job. “The training I have received will not only benefit me but will impact my team and the wider community as we continue to improve the service we offer to residents. “I’d like to thank Copeland Borough Council for their support and my current manager for seeing potential in me and encouraging me to progress in my career and take the next step in my Copeland journey. Copeland Borough Council provides emergency accommodation to homeless residents as well as disabled facilities grants and support for victims of domestic abuse that are homeless or at risk of homelessness. The Council’s housing team also work with landlords to ensure that properties are fit for purpose as well as supporting people with empty homes to bring their properties back to life and help manage housing needs in the area.